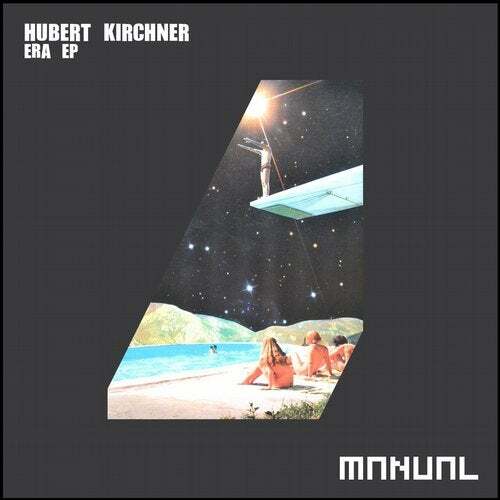 Hubert Kirchner returns to the scene with his first new originals in nearly two years. A period in which he decided to take a little break from music production, focus on his study and now with a master degree in psychology in his pocket he's back, better than ever! Era was a very unique project... Usually my tracks are pretty electronically based, but this one started out with only self-recorded sounds. It was quite a challenge to let go of the usual ways and try something completely new. However when the African vocal became part of the track it felt natural to use as many acoustic sounds as possible. These included a djembe, bongo's, a variety of shakers, some tambourins, a cabasa and a bracelet made out of empty nutshells. By using the human aspects of these percussive parts, accompanied by the vocal, I took a shot at creating a story which leaves the listener with a warm feeling. The movie Interstellar was one of my personal highlights of 2014; I don't think I've heard more epic soundtracks, ever. It was especially the organ that caught my ear. This wasn't just any instrument, but an organ located at the nearly thousand year old Temple Church, London. The extraordinary thing about the sound of such an instrument is that it covers much more than a progression or certain notes. There is a philosophical sense attached to its sound since it has a connection to our culture in a religious way. This underlying feeling is something I wanted to capture in Epoch. By using the uplifting, metaphysical feeling of the synth closely resembling an organ; I tried to grasp the thoughts and feelings of how much there is yet to understand. Eon is a project with a lifespan of nearly half a year, I don't think I've ever worked on a track for this long. On the top of my head I think there are about 30 different versions, and they all have a unique approach. Making music and every other form of art is a constant process of trial and error. Where each version you make, brings you closer to the final result. Eon was one of the projects where I experienced this the most. The unique aspect about the track is the ongoing tension created by the arpeggio, which finally resolves in a climax that surpasses all expectations.